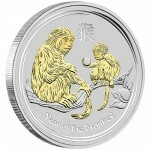 There is no lunar-inspired series of precious metal coins more popular right now than those offered from the Perth Mint of Australia. Introduced for the first time in 1996 as the Lunar Series I program, the popular products continue today as the Lunar Series II program. 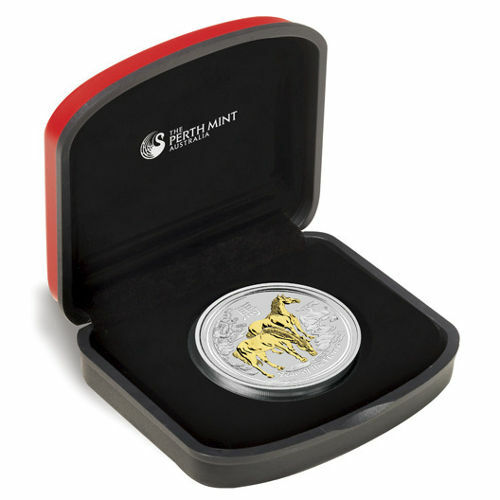 Today, the 2014 1 oz Silver Australian Horse coin is available on Silver.com with a brilliant finish. Perth Mint issue limit of just 50,000 coins in this condition! Ships in a presentation themed box, complete with a Certificate of Authenticity. Features a 24-karat gold gilded finish. Bears a face value of $1 (AUD) backed by the Australian government. 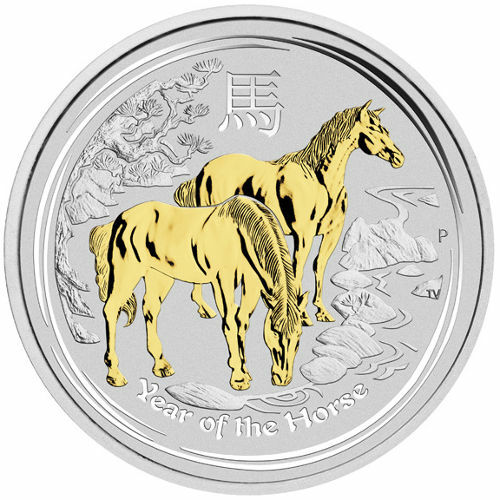 Features the unique Year of the Horse design. 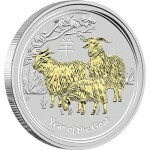 The coins available for purchase on Silver.com in this listing are truly unique. 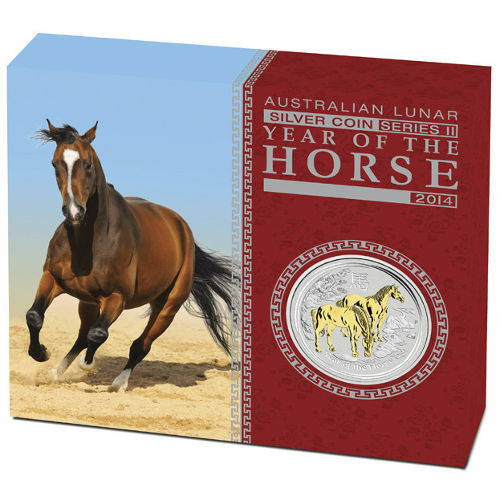 Each 2014 1 oz Silver Australian Horse Coin here features a 24-karat gold gilded finish on the Year of the Horse design. 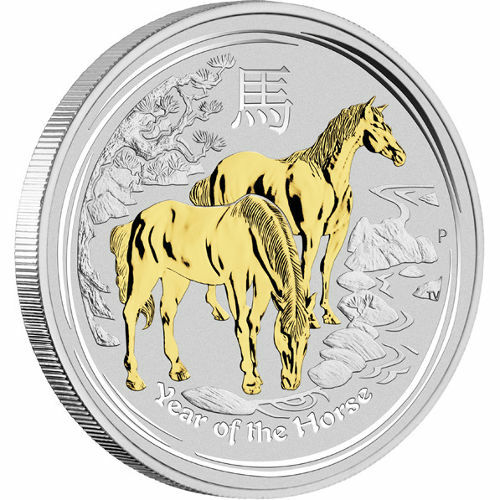 The gilded finish is limited to the horses in the design on the reverse face. Additionally, these coins have all been judged to be in Brilliant Uncirculated condition. Coins in BU condition have no signs of wear and tear, though you may notice detractions such as breaks in the luster, spotted surfaces, or even contact marks from the striking process. 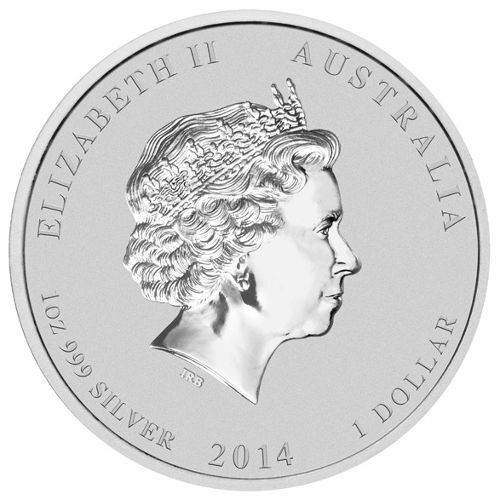 On the obverse you’ll find the familiar right-profile portrait of Queen Elizabeth II. England’s longest reigning monarch has featured on the obverse of all Australian and commonwealth coinage for decades, with this particular image dating back to 1998. The Perth Mint was founded in Western Australia in 1898 as the third and final installation in the Royal Mint system on the continent. It remained a British possession until 1970 when it was turned over to the Western Australia government. It is not affiliated with the federal government’s Royal Australian Mint. Please direct any questions to a Silver.com associate at 888-989-7223. You can also reach out to us online using our live chat and email features.